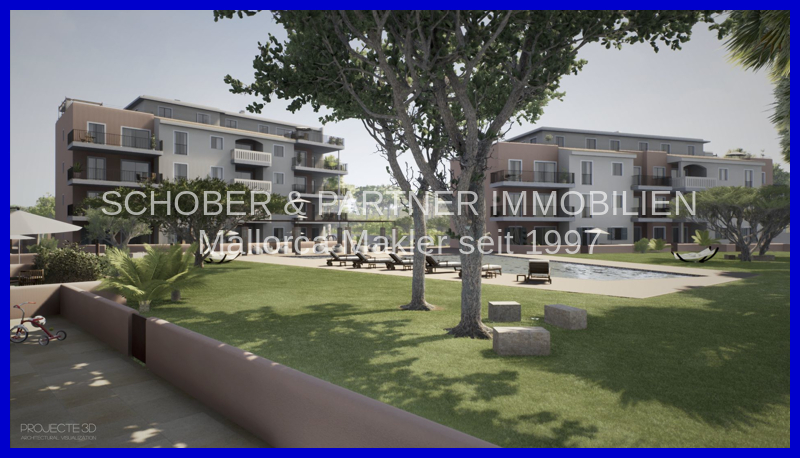 3 Zimmer Penthouse zum / zur Purchase in Sa Coma (Objektnummer 9061B14A) - Schober & Partner S.L. Property description The probably most renowned developer of the region constructs 2 residential buildings, each with 14 residential units. The equipment and processing is as usual of very good quality. 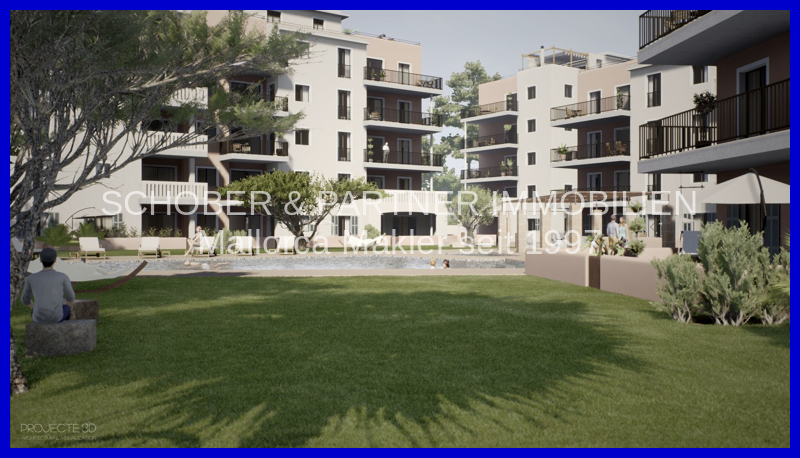 The ground floor apartments (from € 275,000) have a private garden area; All flats (from € 290.000, -) are designed with a balcony terrace, whereas the penthouses (from € 310.000, -) with a larger than average terrace offer a particularly high quality of life. The purchase via us is made directly by the developer without any additional costs. 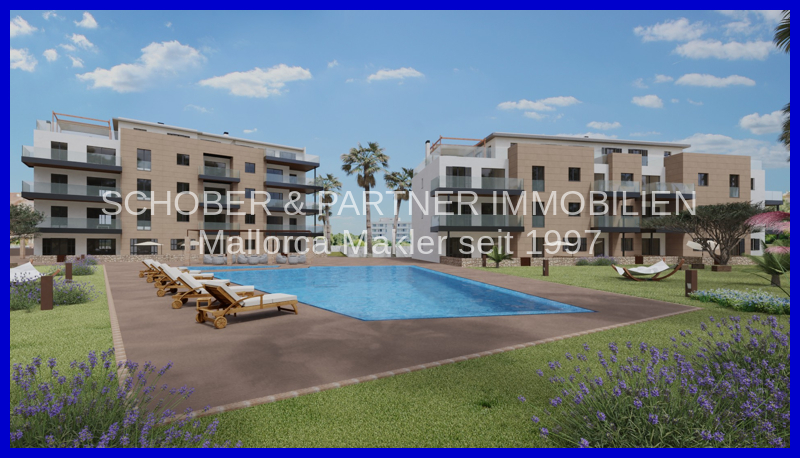 Additionally we offer you our complete support before, during and after the purchase phase with our over 20 years of experience in Mallorca. 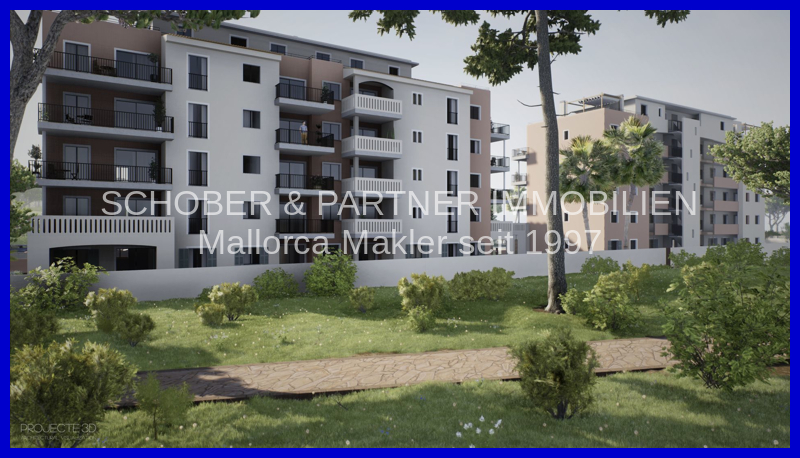 Furthermore, we support you with a necessary financing through a Spanish bank and offer you additional products "around your property" in Mallorca. 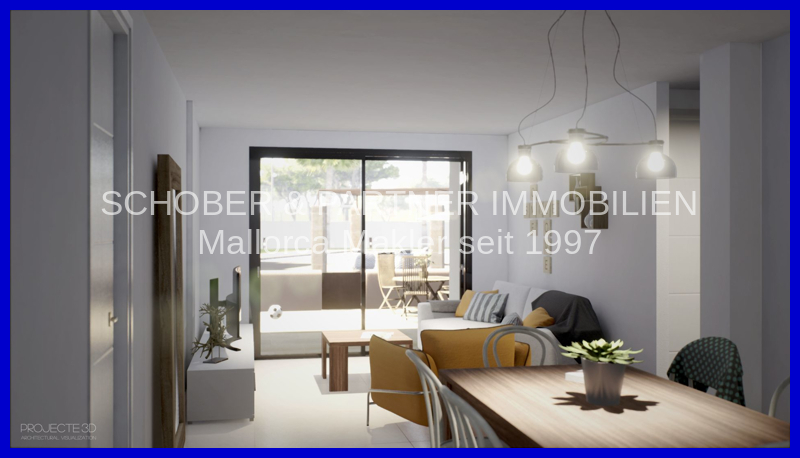 Our home and apartment service will gladly make you a suitable offer, should you want to look after your property in Mallorca professionally and confidently! Location: Sa Coma, a popular residential area and modern resort in the east of the island. The fantastic wide sandy beaches (popular with families) of Sa Coma and Cala Millor are within easy reach. The protected Sa Punta de N'Amer peninsula offers relaxed walking with views of the Mediterranean Sea (at the tip of the island is a small inn / restaurant), horseback riding on site, cycling, swimming, diving and much more. Facilities as well as bars and restaurants are also within walking distance. Large supermarkets such as Mercadona or LIDL are easily reached on foot or by car. In addition, Sa Coma and the adjacent Cala Millor offers a sprawling waterfront for sports and leisure activities. 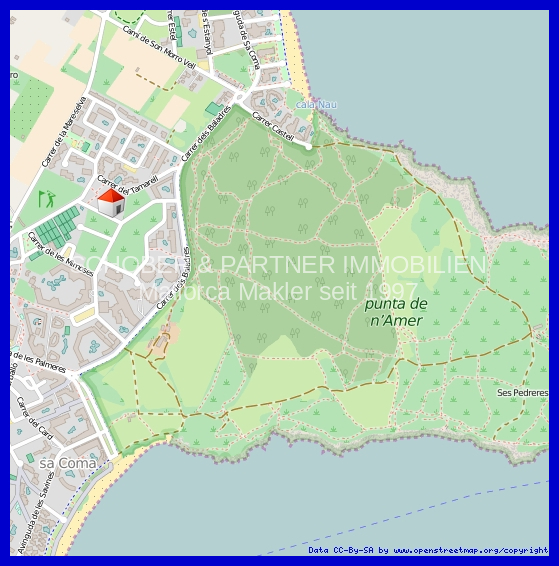 The area also invites to walks and sports activities (4 golf courses nearby). Others: All information is based on the information provided to us by the owner. Schober & Partner S.L. assumes no responsibility for the completeness, accuracy and timeliness of this information. Subject to error and prior sale. The additional purchase costs for the purchase of a property in Spain (land transfer tax, notary fees and land register costs) are to be borne by the buyer. The brokerage commission is charged to the seller. CONFIDENCE AND EXPERIENCE don´t develop over night!